Tunisia’s national unity government symbolizes political elites’ willingness to cooperate, but their fragile compromise poses risks to the democratic process. Corruption has continued to fester in post-uprising Tunisia, but new leaks from the Panama Papers may spur real reform. Sada interviews Charles Tripp on his latest study, which focuses on politics in the aftermath of Tunisia’s revolutionary moment and the battle for public space. Upheaval in Nidaa Tounes comes at a bad time for Tunisia, but it may also create an opportunity for an effective opposition party to emerge in parliament. The Nidaa Tounes party’s internal divide and public rift are discrediting it with the Tunisian public. A presidential proposal to review corruption cases outside Tunisia’s Truth and Dignity Commission will obstruct the body’s ability to implement transitional justice. Tunisia’s new counterterrorism law infringes on civil liberties and does not provide a framework to prevent violent extremism. Amid rising terror threats, meaningful security sector reform risks being delayed indefinitely. A disillusioned faction within Nidaa Tounes is drawing on distrust of leftist and conservative leadership to seek more influence in the party. 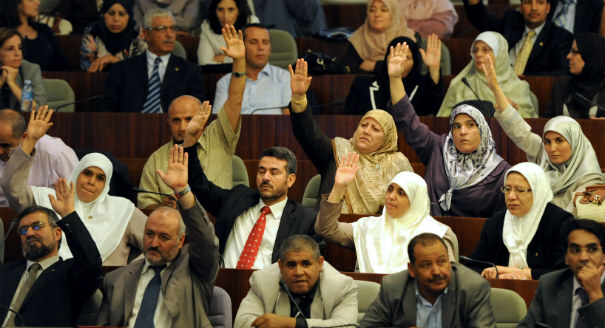 Contentious politics in a strong, empowered parliament could help Tunisia prevent the consolidation of political power in the executive branch. Will Security Challenges Endanger Tunisia’s Transition? Can Tunisia deal with terrorism without resorting to despotic practices? Four experts offer insights on Tunisia’s pressing security challenges and the country’s readiness to address them.